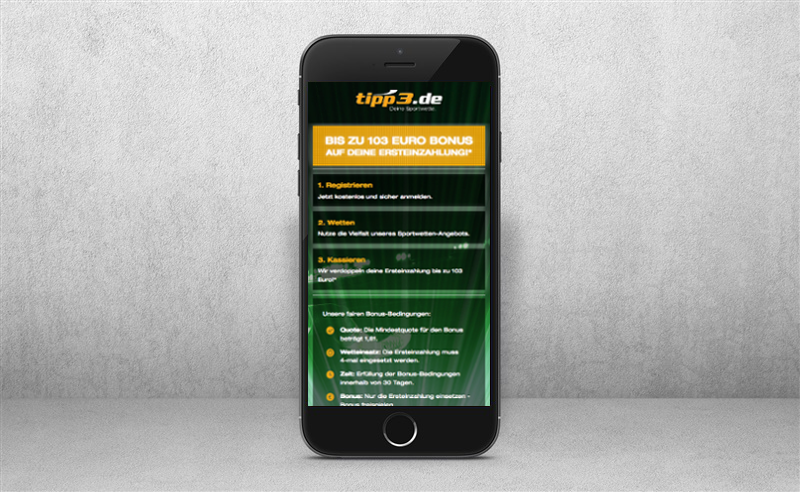 Bookmaker tipp3.de builds upon the know-how of E2 using live banners, odds banners as well as landingpages with responsive designs. The modular concept and the combination of data and bookie product provide a smooth transition from publisher to bookmaker. E2 is responsible for the technological implementation.